A big thank you to those members of our community that stepped up and supported the MPHS Interact club with fundraising for their flag project. 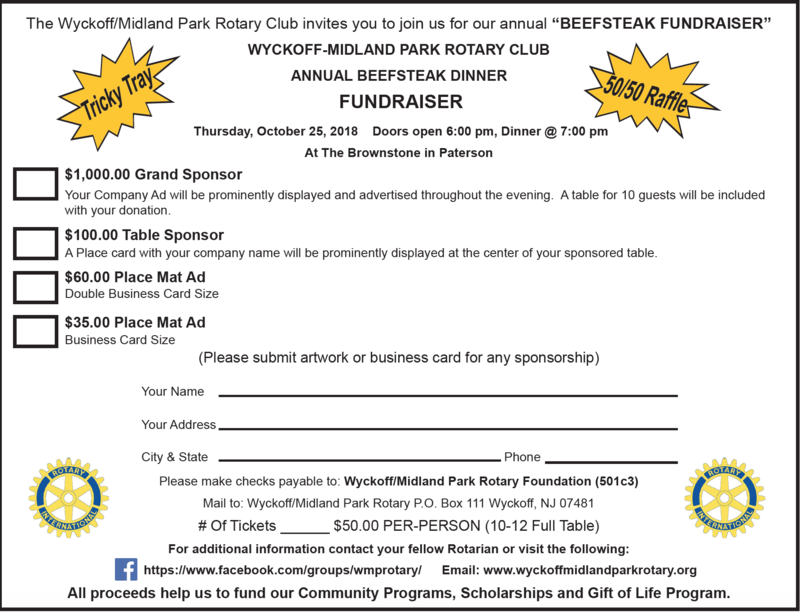 We, the Rotary Club of Wyckoff/Midland Park, were thrilled to participate in this endeavor. The flags have been purchased, received, and they are now on display in front of MPHS. Please take the time to visit the school to see all 3,000 flags. It is a very impressive sight. As a reminder, the Interact club wanted to purchase the flags to show respect for our great country on special days, such as Flag Day, Memorial Day, Veterans Day, 9/11, etc. As we begin to celebrate Memorial Day weekend let us not forget what this weekend is all about. We honor all those who gave the ultimate sacrifice so that we can continue to enjoy the freedoms that we hold so dear. Lastly, congratulations to the members of MPHS Interact Club and their wonderful advisor, Nancy DeRitter, for undertaking such a meaningful project.